Ald. 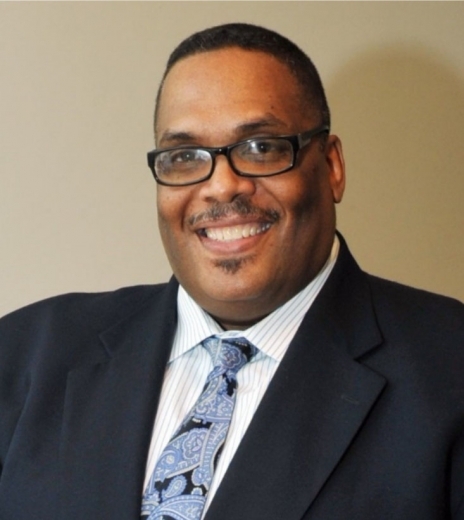 Chris Taliaferro seems at ease with his new 29th Ward Democratic committeeman post. Despite a write-in challenge from popular state Rep. and Austin resident La Shawn Ford, Taliaferro cruised to victory as the lone name in last month’s primary. Just under 12,000 voters in the 29th Ward cast a ballot for the freshman alderman, who was elected to the City Council in spring 2015. The 29th Ward committeeman post had been vacant since Taliaferro’s victory over then-Ald. Deborah Graham in last year’s run-off election. The city’s 50 aldermen typically serve as their area’s committeeman, which is an elected but non-paid position. Taliaferro said he’s in the process of putting his 29th Ward Democratic team together and hosting community meetings in his new post. “We’re going to hit the ground running,” he said in a recent interview at his 29th Ward office, 6272 W. North Ave. The ward committeeman organizes voter registration drives and helps select candidates to fill vacancies in the Illinois General Assembly. Austin’s two other aldermen were also elected ward committeeman last month. Jason Ervin (28th) and Emma Mitts (37th) both ran unopposed in their respective primary races, each racking up just over 10,000 votes. The other West Side aldermen, Michael Scott Jr. (24) and Walter Burnett (27), won in their respective unopposed races. Scott garnered roughly 9,000 votes, while Burnett received about 10,400. Citywide, out of 1.5 million registered voters, turnout reached 54 percent, or about 810,000, this primary election year, according to the Chicago Board of Election Commissioners. That’s almost three times as many people who came out in the non-presidential March 2014 primary, which saw citywide turnout at roughly 224,000 out of roughly 1.3 million registered voters. 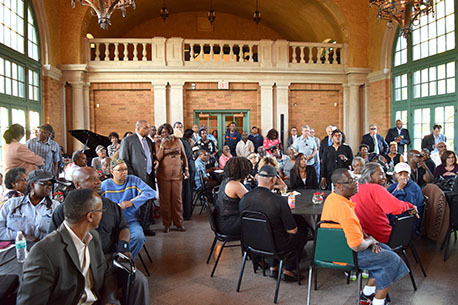 Racial tensions between the black community and police over civilian shootings, and the closing of dozens of schools in mostly minority neighborhoods were among the issues driving people to the polls, Taliaferro said. “We saw a huge increase in votes throughout the city, and I think some of those issues that have been prevalent in the city caused that,” he said. “But I want to make sure that’s continuous. I immediately told my group we’re going to focus on voter registration drives and inspiring people to want to come out to the polls again. “That’s what our committeeman does. He builds the wards up through political relationships,” Taliaferro said. Last year’s municipal election saw 483,700 votes cast in February 2015 and about 590,000 cast during the April 2015 run-offs, which included Taliaferro squaring off against then-incumbent and Ward Committeeman Deborah Graham. Taliaferro narrowly won 52 percent to 48 percent out of 12,964 votes cast. The alderman said he and Graham have put that bitter primary behind them and are talking about working together in the ward. “We’re leaving the past in the past and looking toward the future,” he said. More than 100 people attended Ald. Chris Taliaferro's reception hours after he's sworn into the Chicago City Council.